This style is polished enough for the office but simple enough to keep styling under five minutes. Brush your hair back into a ponytail and slide on a headband. Twist the length of your pony tail around itself and secure the edges with 6-7 bobby-pins. Tease the hair up at the top of your head between your headband and hair tie to create chic volume. A simple braid made fabulous with a little twist– gather hair from both sides of your head from around your temples. Pull back into a ponytail and band together. Braid the ponytail down to the ends and tug at the edges to slightly loosen the hair to create volume. Finally, twist your braid into a bun and secure with bobby-pins to create an adorably easy flower-shaped bun. A lack of time doesn’t mean there needs to be a lack of curls! Place hair into a high ponytail and secure with a fabric hair tie. Split the ponytail evenly into two parts. Wrap the first half over and around a 1 inch curling iron and hold for about 10 seconds. Repeat on the second half. Let down the ponytail and run fingers through the curls for perfect stress free hair. 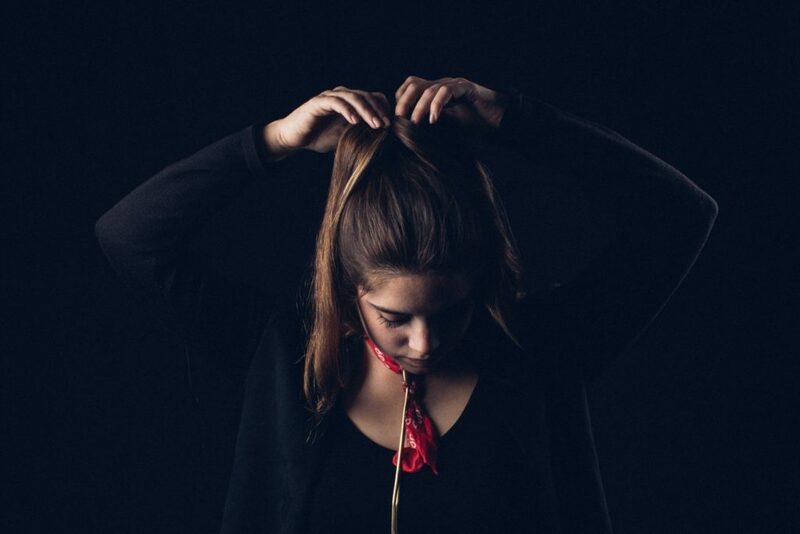 Create a classy ponytail in a matter of moments. Separate the front of your hair into two sections and secure the back into a ponytail. Pull the right side of hair over the hair tie to conceal it and pin. Pull the left side over the right side and pin. Keep hair out of your face and your styling time to minimum. Gather a small triangle starting at the center of the hairline that extends to the midpoint of the crown. Give the section a few twists and flip over, securing the hair at the crown with a few bobby-pins. Make sure to hairspray to ensure to keep little pieces of hair out of your face all day! Perk up your ponytail and morning with this simple little boost. Secure hair into a ponytail. Separate the ponytail into two and add a little clip that matches your hair color in the middle. Let the top half of the pony tail drape over the clip to add instant volume to your hair. Check out more tips and tricks to keeping your mornings simple and your hair chic by contacting Sublime Salon today!